The report titled 'The IT Boom and Other Unintended Consequences of Chasing the American Dream' takes an in-depth look at how the H-1B visa programme affects both the US and Indian economies. H-1B visa is the most sought after programme by Indian IT professionals. Washington: Clampdown on H-1B visa programme will make it difficult for the US IT sector to attract open talent from countries like India and America might lose its competitive edge, a top American think-tank has said. 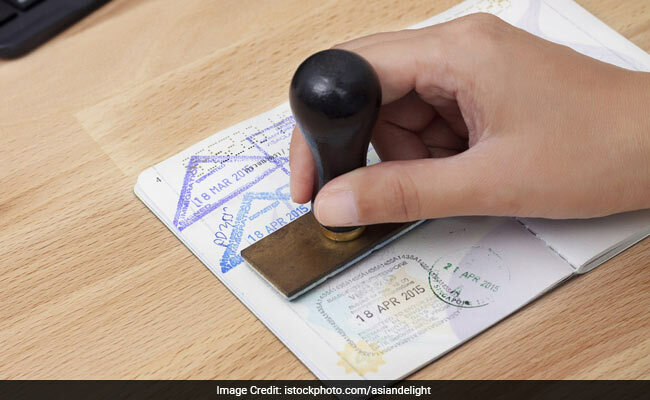 As the Trump administration is carrying out a review of the non-immigrant visas, the Center for Global Development (CGD) in a report said that H-1B visa, the most sought after by Indian IT professionals, is beneficial for both India and the US. "It is really important to make sure that the I-T sectors from both countries are allowed to attract the right kind of people, because they really allow for innovation and growth in both the countries," Gaurav Khanna, fellow at the CGD and co-author of the research paper, said. "Both the economies have really benefited from the H-1B programme," he told PTI. "What our paper is really trying to stress, is that on average the US is better off because of the H-1B programme. So clamping down on the H-1B programme will basically not allow the US IT sector to attract the open talent from places like India. The US might then lose its competitive edge in IT production," he warned, adding that IT companies might move to countries like Canada in the event of large scale clampdown on H-1B visas. Khanna said the research has shown that India has been a beneficiary of brain-gain, rather than brain drain due to the visa programme. "If you think about what happens in India, you know the prospect of migrating to the US and earning such a high wage...it seemed they really encouraged certain students and workers to acquire skills that would be valued by the H-1B programme," he said. The research, which examines the relationship between migration and the outsourcing of IT production to India since the early 2000s, found that US workers are on average, better off by about $431 million or $1,345 per additional migrant in 2010 because of the H-1B programme. The study incorporates crucial mechanisms like innovation by businesses, trade with other countries, and the choices made by students and workers to become computer scientists. While there are some negative impacts for a subset of the US workers, the overall gains outweigh the losses as the combined incomes of the US and India both rise under the H-1B programme by about $17.3 billion or 0.36 per cent. And total IT output from both nations rose steadily under the H-1B regime by about 0.45 per cent in 2010, the CGD research said. It also found out that better technology, as a by-product of this immigration of tech workers, increased the overall productivity of other sectors as well, and consumers of computer-related goods enjoyed better software and lower prices. The study found a one per cent decrease in price for US IT products and an 7.4 per cent fall in Indian IT products. "The average worker in each country is better off because of immigration, and US native workers have made big gains because of the H-1B visa programme," Khanna said. "Yes, there may be things that can be done to blunt distributional impacts that affect a subset of workers, but overall, this policy has been a net-positive for the US economy and workers," he asserted. The research found out that those who migrated to the US acquired skills, technical know-how and established networks with US companies. Aftet their visas expired, they returned with these acquired human capital and technology and contributed to the growing tech-workforce in India. "Together, the brain-gain to India under the H-1B programme outweighs any brain-drain," it said. According to Khanna, the increase in IT sector productivity, because of the additional knowledge and skilled workers spurred by the H-1B visa programme, allowed India to eventually surpass the US in software exports. Over time, some IT production begins to be outsourced from the US to India. The H-1B visa is a non-immigrant visa that allows US companies to employ foreign workers in speciality occupations that require theoretical or technical expertise in specialised fields.